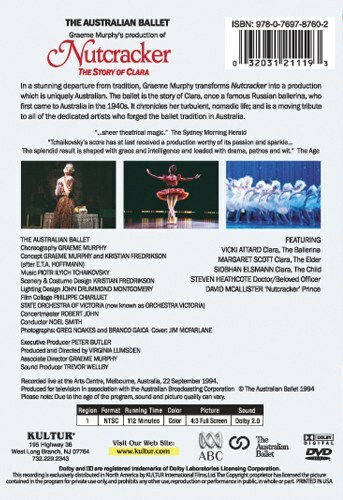 In a stunning departure from tradition, Graeme Murphy transforms Nutcracker into a production which is uniquely Australian. 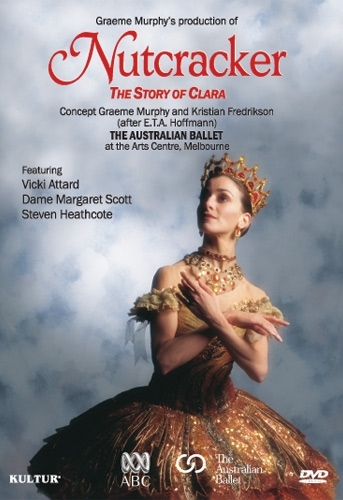 The ballet is the story of Clara, once a famous Russian ballerina, who first came to Australia in the 1940s. It chronicles her turbulent, nomadic life; and is a moving tribute to all of the dedicated artists who forged the ballet tradition Australia. Recorded live at the Arts Centre, Melbourne, Australia, 22 September 1994. "Tchaikovsky's score has at last received a production worthy of its passion and sparkle... The splendid result is shaped with grace and intelligence and loaded with drama, pathos and wit."